Price (Per Box of 10 Tiles) - As Low As $49.89! You can download forms here. This Sale does not combine with any other offer, promotion or sale. Shipping Lead Time is 1-5 days based on your location. Works in standard U.S. 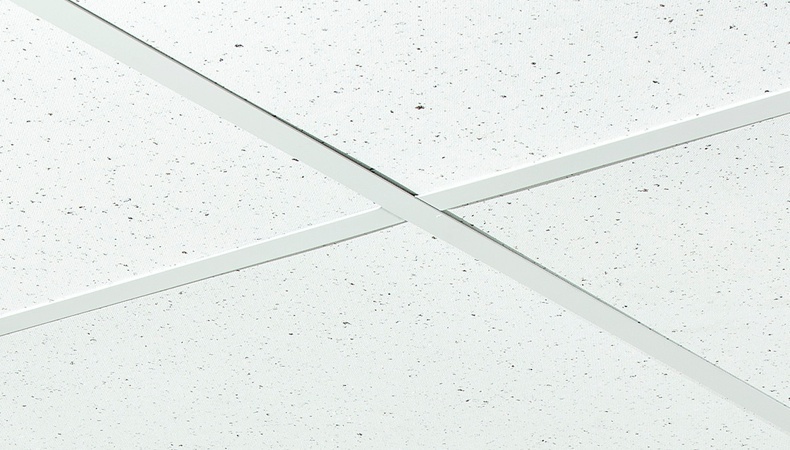 Grid System: 15/16" or 1"
Our ceilings are Engineered to surpass all code requirements and to last a lifetime. Hospitals, Restaurants and Food Processing Plants should prevent MOLD & BACTERIA, not encourage it by using fiber board tiles. Get rid of those old tiles and upgrade to a ceiling you can keep clean and healthy. Dimensions: 23 3/4" x 23 3/4" x 5/32"
Weight: 25 lbs per box, 2.42 lbs per tile. Dimensions: 23 3/4" x 47 3/4" x 3/16"
Weight: 54 lbs per box, 5.4 lbs per tile. We've been selling quality ceilings since 2007. 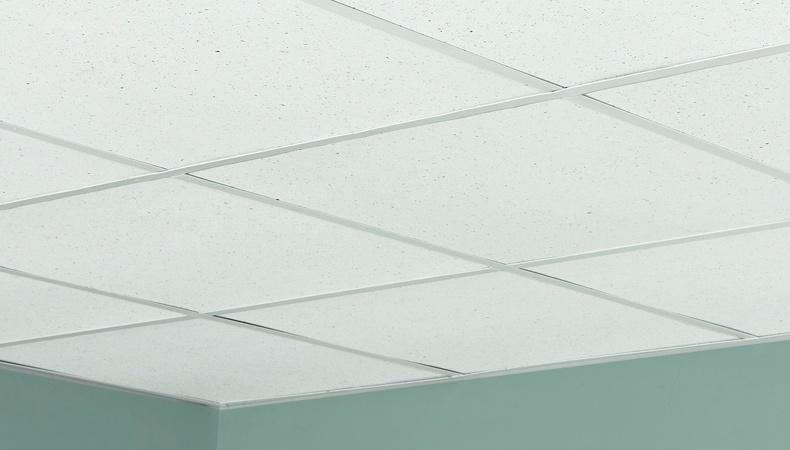 We have over 30,000 Satisfied Customers and millions of square feet of ceiling tiles sold to numerous industries including the U.S. government and military, Restaurants, Airlines, Oil Rigs, Universities, Food Preparation Buildings, Commercial Buildings, Bottling Plants, Clean Rooms, Hospitals, Manufacturers, Hotels and more. Genesis Ceiling Tiles are Class A for Flame Spread Index (FSI 20.1) and Smoke Density Index (SDI 199.9) as detailed in our Spec Sheet. Made in the U.S., the Genesis Recycled Series consists of high-performance ceiling panels that are both attractive and sustainable. Available in 2x2 and 2x4 sizes, these recycled, rigid PVC panels resist rust, corrosion, mold and mildew. The 2.3 mm panels are available in two colors. 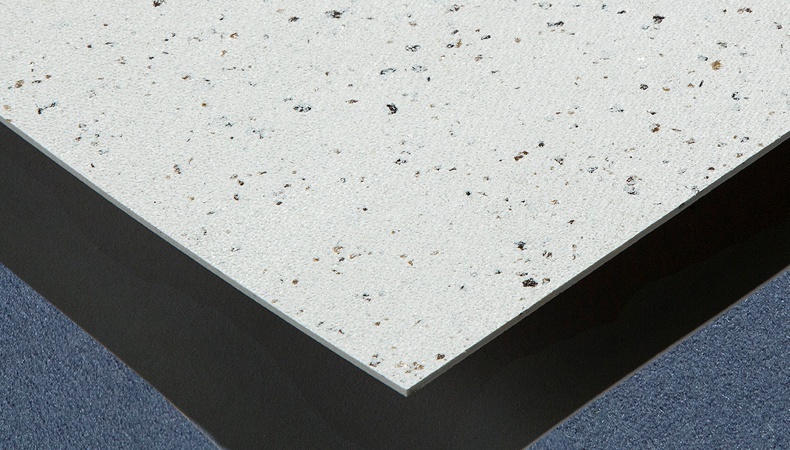 The flecked panel is made of 75% recycled material and includes a .012 virgin vinyl skin for a consistent white appearance. The black panel is made of 100% recycled material. The panels are manufactured with a slight curve so the tiles lay flat in a grid and will not sag. 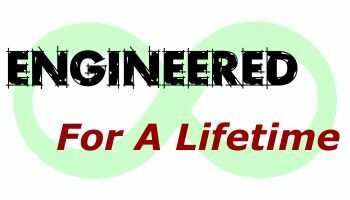 Recycled, Made in the U.S.A.
Made of rigid PVC to resist rust, corrosion, mold and mildew. Each panel measures 2.3 mm thick and are available in 2x2 and 2x4 sizes to fit in appropriately sized ceiling grid configurations. How do you install Genesis Tiles? They will quickly and easily fit into almost any ceiling grid system. Genesis Panels are lay-in ceiling panels and are available in the same sizes as fiber-based ceiling tiles, 2' x 2' and 2' x 4'. How do I cut Genesis Tiles? The tile can be trimmed with a utility knife. You may also use a metal angle ruler, score it and snap the tile. What happens if water condensation on pipes lands on the ceiling panels? The water evaporates and leaves no discoloration and Genesis ceiling panels do not permit the growth of mold and mildew. How will I know if I have a major water leak? The water will drip between the grid and ceiling tile which will quickly alert you to the problem, as water will drip on the floor. The leak will need to be fixed, but the value of Genesis is that you can dry off the tile and reinstall it, undamaged. Can I install Genesis Recycled Tiles over other panels? Yes, Genesis Recycled Tiles can be installed in front of an existing tile to reduce installation time. Can Genesis panels be cleaned? Yes. A mild soap and water solution works well, as do most household cleaners. Just spray the cleaner onto a clean rag and wipe. Feature: Call 800-518-9835 for shipping rates for Alaska, Hawaii & any country other than US.